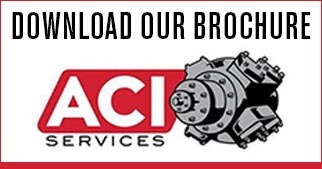 eRCM™ Modeling Software - ACI Services, Inc.
With so many compressors, so many performance methods, so many PLC implementations and so many restrictions for safe use, ACI’s eRCM Modeling Software provides the perfect solution to model compressor performance curves. You simply specify the compressor’s geometry (frame, cylinder, stage, throw, valving, etc.) via direct inputs or from our extensive database of OEM and legacy records and eRCM displays that unit’s performance curves: Pressures vs. Load, Pressure vs. Flow, Pressure vs. Pressure and more, including graphs of net rod load forces and PV/PT cards. Operating conditions always change. If you need to know if adding a 500 cubic inch unloader to your fifth cylinder’s head end will give you enough unloading to accommodate the new operating map, then eRCM is for you. Within seconds you’ll have your answer(*). Tired of Gas Control using one method to predict unit performance, while you’re using another, and the PLC is using yet another method to actually control the hardware? eRCM provides one methodology for all users — yes, we even generate the algorithms that will go into the PLC to control the unit! Want to see if the packager’s unloading sequence can be improved? With eRCM you can easily check any combination of volume pockets and end deactivation. Including adding spacers to increase fixed clearances or adding filler pieces to volume pockets to decrease additional clearances. No compressor performance program would be complete without the ability to get smarter. eRCM does just this. Enter analyzer data in the tuning section, and eRCM will auto-adapt the performance predictions to accommodate the real-world effects of pulsation, actual valve and parasitic losses, friction losses, etc. * Other questions of weight and physical accommodations still need to be addressed prior to selection of actual hardware.